Scoring a perfect 10/10 from the Daily Mail, the CACI Synergy is the newest and most advanced system on the market from CACI International. Renowned for its non-surgical facelift, CACI uses patented micro-current technology to re-educate and lift the muscles of the face as well as target the main visible signs of ageing. It also comprises of orbital microdermabrasion, ultrasonic peeling and CACI’s unique wrinkle comb. For optimum results, we recommend that all facial toning treatments are carried out in courses of 10-12 twice weekly followed by a single monthly maintenance treatment. The most advanced CACI treatment combining all aspects of the Synergy system for facial toning, leaving a youthful and radiant complexion.Comprising of CACI’s non surgical face-lift and ultrasonic peeling, microdermabrasion, wrinkle comb and nourishing hydra mask, this is pure luxury and a real treat for your skin. 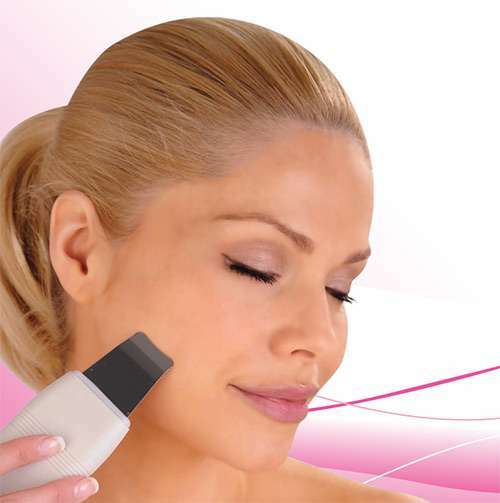 *Breakthrough S.P.E.D technology (Stimulates, Photo-Electrical Delivery) combines CACI’s signature micro current and high brilliance LED light therapy for enhanced skin treatment results. Red light issued to stimulate cellular turnover and collagen production whilst blue light is used to calm redness and kill bacteria – an effective treatment for acne and blemishes. *All treatments can be tailored t suit individual needs. Please discuss with your therapist.